If Democratic gubernatorial candidate Rod Blagojevich and Chicago Mayor Richard M. Daley get their way, all Illinois parents would be able to send their children to preschool. Blagojevich and Daley held separate news conferences Tuesday to discuss ways to expand early childhood education. Pledging as governor he would ensure access to preschool programs for so-called “at-risk” children, Blagojevich outlined his plan at the Carol Robertson Center for Learning on the city’s Southwest Side. Many education experts agree children who do not receive pre-language skills, early literacy or access to group socialization often struggle once they enter school. To illustrate the need for expanded preschool, Blagojevich cited a 1988 newspaper series describing the problems in the state’s early educational system. Blagojevich said 14 years later, little has changed. He said universal preschool is a statewide goal, but because of the state’s budget crisis, his plan would focus on at-risk youth in the first year of his term. 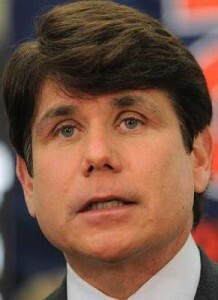 “I can’t think of a more important priority than providing access to preschool to kids who need it,” Blagojevich said. Across town at the Chicago Cultural Center, Daley assembled state, local and federal officials, educational professionals and parents for a forum to discuss his plans to expand the city’s early childhood development education programs. Calling the issue complex, the mayor said he was seeking advice to help him improve the early education system by the first day of school in September 2003. “It’s not just written in concrete that we’re going to do X, Y, Z; I wish it were that easy, but it’s not,” Daley said. The mayor outlined several principles he said were necessary for improving preschool education, including uniform standards, a more comprehensive system of ongoing training and parental involvement. Tuesday’s conference, sponsored by the nonprofit Joyce Foundation, was the mayor’s first step toward meeting his goal to make Chicago the first city in the nation to offer preschool to every child whose parent or guardian wants it. Although Daley’s preschool plan is for Chicago, he said inadequate early childhood education is a statewide concern. Standing in the way of Daley and Blagojevich’s plans are the city and state’s current budget shortfalls, which are estimated to worsen next year. Daley said besides additional funding, changes to state and federal law would be needed to expand and improve early education. Blagojevich said he would fund the program by examining the state budget, including money coming from eliminating wasteful spending within the Illinois State Board of Education. She said Ryan plans to review the results of an existing state task force on this issue, which was commissioned by current Gov. George Ryan. At his news conference, Daley stressed that state leaders must work in a bipartisan way to address the education budget. “Illinois can’t be falling behind in state funding for education,” he said. “If we keep falling behind another year, another two years, three years or four years, [we’re] denying a lot of children a lot of opportunities. “You have lost a child, and that is unacceptable in our society today,” he added.